Home Archive by Category "Face Lift Gallery"
Looking younger and fighting aging is a common goal among most people, and is the driving force that makes many consider a facelift in Baltimore. Of course, there are other facial rejuvenation options, and one that flies under the radar for many is microneedling. This process leaves your skin looking fresher, younger, and healthier while safely producing natural results. Simply put, this process of facial rejuvenation in Baltimore, which is approved by the American Society of Plastic Surgeons, uses microneedles to safely puncture the skin in an orderly fashion. While it may sound intimidating at first, the procedure is completely painless. All it is meant to do is to trigger a response from the skin which begins a natural reparative process. Once your plastic surgeon in Baltimore has completed the treatment, your skin begins regenerating. At this time it naturally produces new elastin, collagen, and even new skin cells. Over the following weeks, blood flow is increased to the skin and the regenerative process continues, ultimately leaving you with younger and healthier looking skin that continues to improve. Results are typically noticeable around six weeks after the treatment. The treatment itself lasts about an hour and offers long-lasting results with little to no downtime. People looking to have tighter, younger, healthier skin without having to worry about recovery time are more and more frequently turning to microneedling. The process works on any type of skin, which is not common in other facial rejuvenation procedures. In addition to being able to rejuvenate the skin on your face, microneedling can also be used on the hands, chest, and neck, as well as on stretch marks anywhere else on the body. For more information questions about a facelift, microneedling, or any other plastic surgery in Baltimore, do not hesitate to reach out to Dr. Jeffrey Schreiber and the Baltimore Plastic and Cosmetic Surgery Center. Our friendly staff will happily answer any questions or schedule a consultation. Call (410)205-1846 today. 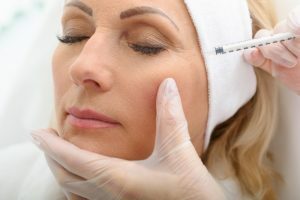 What Is the Best Age for Botox Injections or a Facelift in Baltimore? Looking your best is important in Southern California, especially in the summertime when there are weddings, beach parties, vacations and countless other get-togethers. These are occasions when the cameras are out and you will be regularly posing for pictures which will document your appearance for years to come. 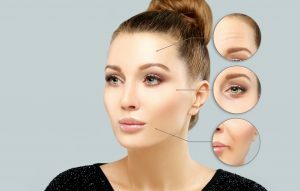 A trip to the cosmetic surgeon for Botox injections that can reduce wrinkles and fine lines and give you a younger, or a facelift in Baltimore to achieve a more energetic look is an effective way to enhance your appearance. With Botox increasing in popularity, many prospective patients are wondering when is the best age for considering Botox for the first time. If you are thinking about facial rejuvenation in Baltimore you are doing so to get rid of signs of aging. As such, this is a personal decision and depends more on factors that contribute to these signs of aging than an age limit. Such factors include sun exposure, genetics and family history, and your overall health. In most people, skin starts to lose its elasticity and volume between the age of 30 and 40, which leads to wrinkles. 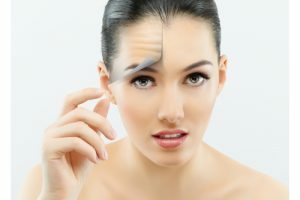 Getting Botox injections from a plastic surgeon in Baltimore who is certified by the American Board of Plastic Surgery can help with deep lines between the eyebrows, wrinkles near the corners of your eyes, lines on the forehead, and more. The younger you are when you choose to begin treatment on these lines and wrinkles, the easier it is to prevent them from getting worse. As stated before, depending on your lifestyle and hereditary factors, signs of aging could begin to appear earlier than 30 and you might want to consider addressing these issues earlier. Bear in mind that the result of Botox are not permanent and when you begin the treatments you will need to continue with them from time to time in order to ward off signs of aging. You can also speak with your surgeon to learn about other dermal filler injections or treatments that are available to help keep you looking and feeling your best. 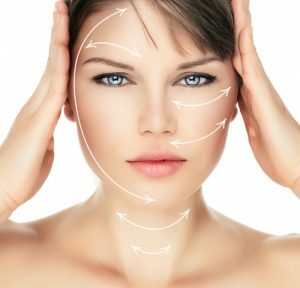 For more information questions about a facelift or any other plastic surgery in Baltimore, do not hesitate to reach out to Dr. Jeffrey Schreiber and the Baltimore Plastic and Cosmetic Surgery Center. Our friendly staff will happily answer any questions or schedule a consultation. Call (410)205-1846 today. There’s no way around it, society places an incredible importance on appearances. People who look better and younger are more successful in social situations, at work, and in the dating game. This is true for men as well as women. As such, there has been a marked increase in men seeking plastic surgery in Baltimore and across the country. From hoping to be more marketable when it comes to receiving a promotion to looking more youthful when walking their daughter down the aisle, more and more men over 40 are looking to recapture their youth with a younger appearance through cosmetic surgery. Facial rejuvenation in Baltimore can help men get rid of age spots, reduce scars from acne, and treat other skin irregularities that could be signs of aging. Men getting a facelift in Baltimore benefit from stronger jawlines and a brighter, more energetic look that affects both how they feel about themselves and how they are perceived by others. A few simple procedures can go a long way in improving a man’s day to day life, just as it does with women. 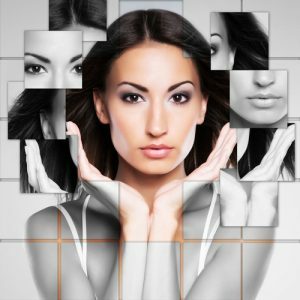 A successful facelift at the hands of a professional like Dr. Jeffrey Schreiber leaves a natural look that most people won’t even suspect is the result of a cosmetic procedure. In many cases, they will simply thin you look improved, more rested, and more energetic. It’s not just the number of men getting a facelift in Baltimore that is increasing. More and more men are also opting for liposuction and tummy tucks to do away with unwanted fat. Some of these men have worked hard, improving their physique through diet and exercise, only to find that there is a last bit of belly fat or unwanted skin that is keeping them from truly achieving their goals. This is where cosmetic surgery comes in to administer the final touches. Following a simple procedure, men are brimming with self-confidence, trimmer, and satisfied at finally having reached their goal. For more information questions about a facelift or any other plastic surgery in Baltimore, for men or women, do not hesitate to reach out to Dr. Jeffrey Schreiber and the Baltimore Plastic and Cosmetic Surgery Center. Our friendly staff will happily answer any questions or schedule a consultation. Call (410)205-1846 today. 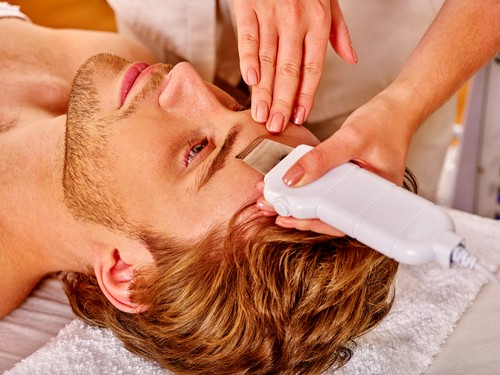 Getting a facelift in Baltimore isn’t just for women. Men also deserve to look their best and to benefit from facial rejuvenation and no one know this better than ASAPS member, Dr. Jeffrey Schreiber who has successfully performed the procedure on numerous men. There’s absolutely nothing wrong with men wanting to look their best, and with Father’s Day approaching, now might be the time to consider giving that special Dad in your life the gift of facial rejuvenation. A great aspect of having facial rejuvenation in Baltimore is the ability of having a top notch cosmetic surgeon like Dr. Schreiber do the job. As men age skin around the eyes, jowls, and chin begins to sag and droop. This could lead to an older and more tired appearance. Many men feel that even if they don’t actually feel tired, this tired appearance could affect their job. Getting a Baltimore facelift can tighten the skin and give the face and jaw line a more energetic, youthful look that could really come in handy when it’s time for a promotion. Similarly, fat in the face can become displaced during the aging process. A simple facelift can help smooth out the skin and give a man a younger appearance without altering the natural look of his facial features. Whether a man is hoping to appear more vibrant at work, or simply to look better for himself and his loved ones, getting a facelift in Baltimore does wonders for the appearance and self-esteem. Aside from facelifts, men can also benefit from a rhinoplasty, or nose job. This is another increasingly common procedure for men hoping to look their best. Some may not be aware of the fact that changes to the nose over the years can also give an older look to the face. By making a few slight alterations, Dr. Schreiber can give your face a more attractive and younger feel. The procedure could be so slight that most friends and coworkers don’t even realize you has a nose job, just that you look better. 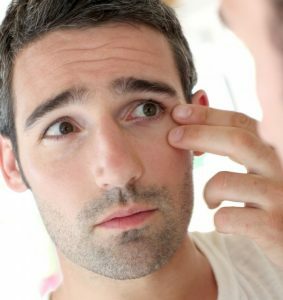 To discuss these and other facial rejuvenation options for men reach out to Dr. Schreiber who is also a Clinical Instructor at the Johns Hopkins Hospital. He is more than able to answer any and all questions about cosmetic surgery and your specific needs. A simple consultation will help you decide what procedure is best for you and give you an idea of the expectations and how to prepare for the surgery. Call Baltimore Plastic and Cosmetic Surgery Center today at (410) 205-1846. Those looking for a facelift in Baltimore are lucky enough to be able to benefit from the expertise of Dr. Jeffrey Schreiber, recognized as a Baltimore Magazine Top Doctor. Spring is the season of rebirth so there is no better time than the present to consider facial rejuvenation in Baltimore to look and feel younger heading into the warmer months. Many who set up a consultation or who are considering cosmetic surgery find themselves wondering if a facelift is right for them. Below are the top five signs that it’s time for a facelift. Obvious wrinkles or deep lines. Lines and wrinkles begin to appear faintly on the skin but as time goes on these lines deepen and become much more noticeable. If you’re looking to lessen the appearance of these lines and wrinkles, a facelift is the best option. Skin care products and Botox no longer work. Chemical peels, Botox, and other skin creams can help in slowing the visible signs of aging, but they only work for so long. After a while a Baltimore facelift could be the only option to really tighten the skin and give your face a more youthful look. Sagging Skin. The loss of elasticity in the skin combined with gravity make sagging skin an inevitability during the aging process. Sagging skin generally becomes noticeable around the eyes, jowls, neck, and cheeks. A simple facelift can tighten up the skin in these problematic areas, giving you a younger appearance. You look older than you feel. There’s no denying that everyone gets older, but there is truth to the cliche, “You’re only as old as you feel.” However, being full of youthful energy doesn’t necessarily help if you still feel like you look old. 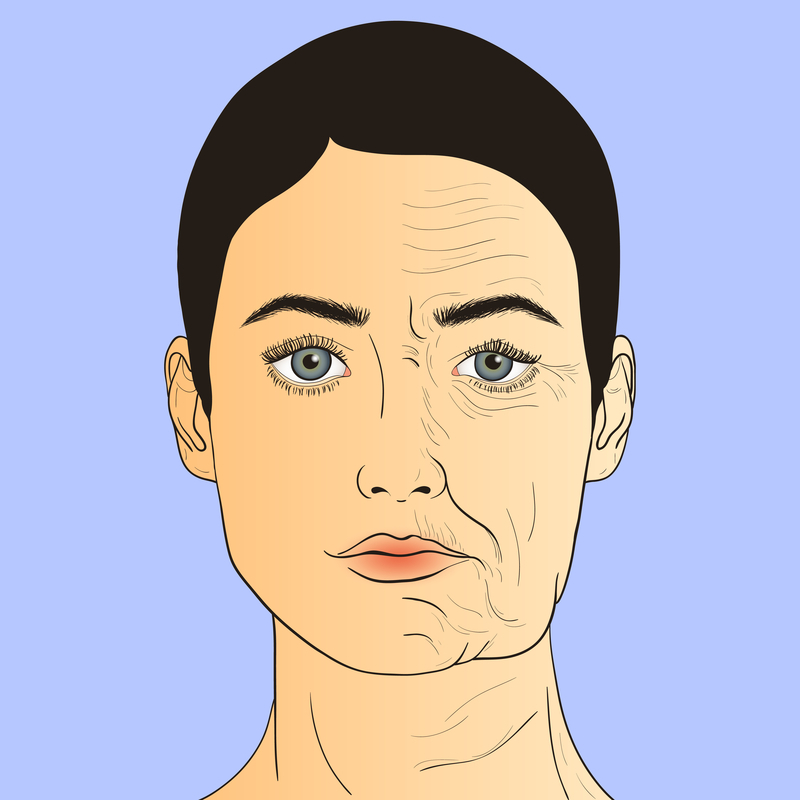 A major culprit of feeling like you look old is, again, wrinkles and sagging skin. Not to worry, getting a facelift in Baltimore will tighten up that skin and leave you looking just as young as you feel. Unhappy about your appearance. Growing older leads to changes in appearance and sometimes these aren’t the most desirable changes. If you find yourself unhappy about the way you look it might be time to consider a facelift. Looking better and feeling better about your appearance is much more than cosmetic, it will have you feeling better about yourself and leave you more free to enjoy life. These are just a few of the signs that it’s time for a facelift. If you are considering a facelift reach out to Dr. Schreiber. As a member of the American Society for Aesthetic Plastic Surgery, he is more than qualified to perform the procedure and answer any questions you have during a consultation. Call (410) 205-1846 to schedule an appointment or consultation today. Having great skin is key to a youthful appearance. One of the simplest ways to achieve facial rejuvenation in Baltimore is by scheduling pigmentation removal with Dr. Schreiber. This simple procedure removes unsightly dark spots on your skin, leaving you with glowing, evenly toned skin. Melasma, sunspots, and freckles will soon be a thing of the past and in a little as two treatment sessions you will have the complexion you’ve always wanted. Dr. Schreiber is renowned in Baltimore for his facelifts and other cosmetic surgeries and he can help you set up a plan based on skin analysis to get the perfect pigmentation removal procedure for your specific needs. One of the most important aspects of successful pigmentation removal is taking proper care of your skin before and after the procedure, which is why winter is the best time to have it done. Before the procedure it is important to limit your skin’s amount of UV exposure and to apply SPF sunscreen whenever you’re in the sun. After the removal, in addition to applying pigment treatment that will help with recovery, you will also need to limit the amount of UV exposure. Your skin will be extra sensitive to damage from sunlight and harmful UV rays, so staying indoors and covering up your skin when outside is vital. In the cold winter months you are more likely to stay indoors and to be bundled up under layers of clothes when you venture out. By scheduling pigmentation removal during the winter you won’t have to skip out on fun days at the beach or picnics at the park while protecting your sensitive skin following the procedure. Just be sure that when spring and summer arrive you apply sunscreen before enjoying a warm day outdoors. Excess sun exposure is the main cause of pigmentation and once you have undergone the procedure to have sunspots or other discoloration removed you will want to be sure to take proper care of your skin to maintain your healthy complexion. Dr. Jeffrey Schreiber and his staff are ready to help you look and feel younger by removing pigmentation from your face and body. He has years of experience as a cosmetic surgeon in Baltimore, providing facelifts, pigmentation removal, and much more and he will put his expertise to work for you. To set up a consultation for your pigmentation removal call (410) 205-1846 or click here to schedule your appointment!